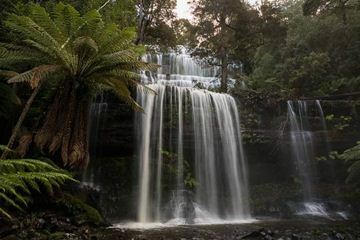 It's not every day that one gets to explore and see some of Australia's most iconic attractions and landmarks. Book your next adventure with our Iconic Attractions Gift certificates, which is perfect for out-of-towners or for a gift that is filled with a sense of adventure. Swim with Whale Sharks on the Ningaloo Reef off the coast of Western Australia. Also swim with Manta Rays and observe Humpback Whales, depending on the time of year. Includes transfers to and from your accommodation, two snorkels on Ningaloo Reef, (gear provided), morning tea, gourmet smorgasbord lunch (vegetarians catered for daily), tea, coffee. 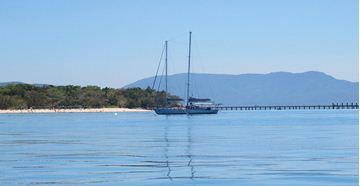 Fancy a luxurious reef tour traveling to 2 reef locations in northern Queensland? 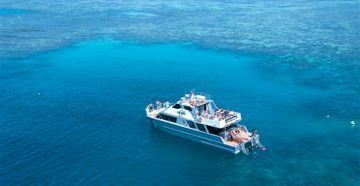 Jump aboard for a full six hours of snorkelling pleasure in two of the Great Barrier Reef’s most coveted areas. In the morning, explore the Wonder Wall on Upolu Reef’s outer edge, enjoy a glass bottom boat tour or one of themany guided snorkel tours in the stunning turquoise waters. You will then arrive at the second destination, where you can experience the pristine paradise of ‘The Aquarium’ at Upolu Cay. You will get to enjoy 6 full hours on the reef with an amazing crew, this is a day you will never forget!